We’re proud to be the ‘go-to’ printer for so many businesses and organisations in Bedfordshire and further afield. But we’re also proud to be a family-run company, and to have a team of technicians we’ve trained and worked with for many years. Come and meet the people behind the pride. 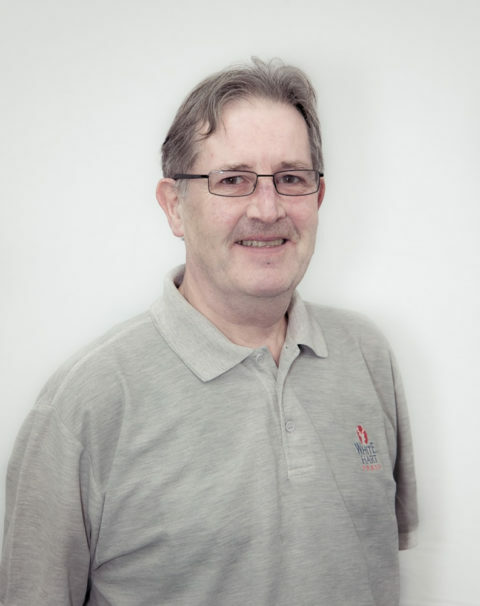 David founded White Hart Press in 1987, and from the outset established a firm focus on quality, service and the local touch. A dedicated Tottenham fan, he named the print business after his team’s home ground, although his customers wear all manner of colours! He lives in Bedford with his wife, Jenny. 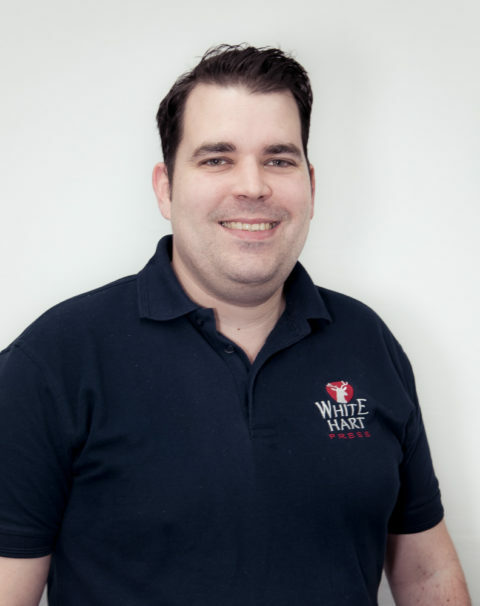 Daniel joined in 2007 following his law degree and postgraduate qualifications, and is now responsible for the day-to-day running of the business. He shares a family football allegiance to Tottenham but is happy to rub shoulders with the unenlightened. A local lad, he lives in Bedford and is married to Nicola. 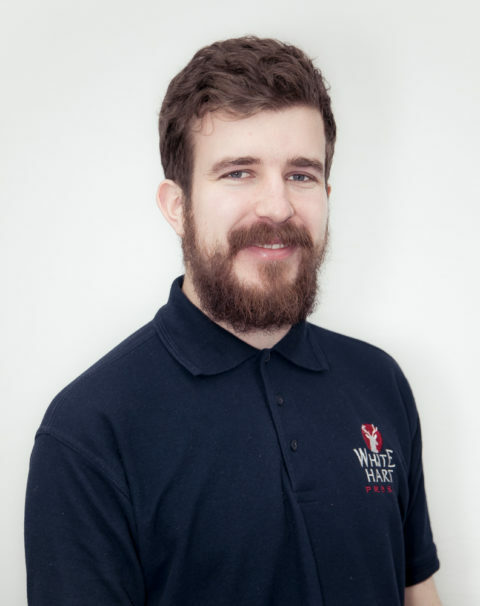 Glenn joined the print team in 2011 and progressed quickly, thanks to his industriousness and his popularity with customers (even the ones who don’t support Tottenham). On the phone, on the presses, at the counter, Glenn’s hands-on and always on the ball, whatever your team.